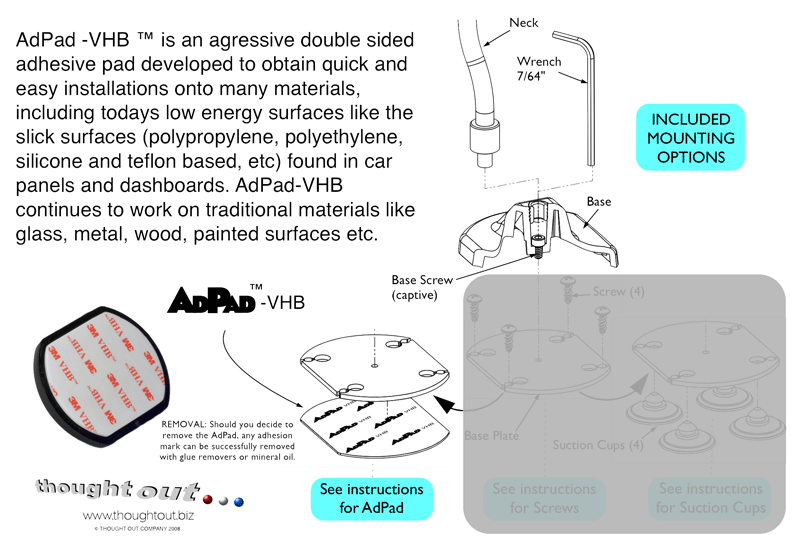 AdPad -VHB ™ is an aggressive double sided adhesive pad developed to obtain quick and easy installations onto many materials, including todays low energy surfaces like the slick surfaces (polypropylene, polyethylene, silicone and teflon based, etc) found in car panels and dashboards. AdPad-VHB continues to work on traditional materials like glass, metal, wood, painted surfaces etc. Includes (3) Adpad and instructions.